The full wrap-around design of the Bandido has made them highly popular and extremely economical. Since the lenses flow seamlessly into the arms they qualify as integral side shields during official independent safety tests. 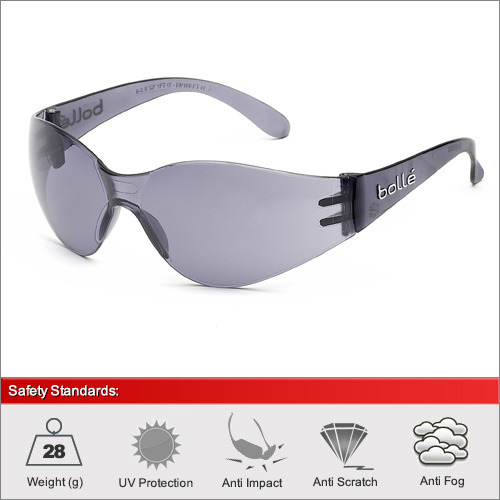 As standard they offer the highest Optical Quality 1 clarity and include anti-fog, anti-scratch and anti-static properties. Due to the special treatment on the ESP lens it is not anti-fog also. Each pair is supplied with a adjustable neck cord. We have 4 lenses available in this frame. The clear lens for 100% optical quality 1 performance. The ESP lens for reducing harmful blue light and reducing glare. 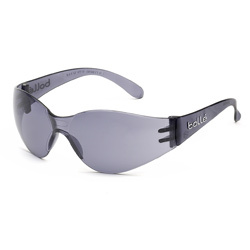 The Smoke lens for bright light / outdoor and the yellow lenses for increased contrast in low-light and flat-light conditions.